I’ve loved Marie Daâge’s beautiful, hand painted Limoges porcelain ever since I began buying it for my mother’s shop nearly two decades ago. It’s thrilling to be collaborating with her now. The collection comprises of intricately hand painted designs that mix bold stripes, floral patterns and subtle gilding. Each design is different, yet every colour and pattern works together. How you combine them is up to you. 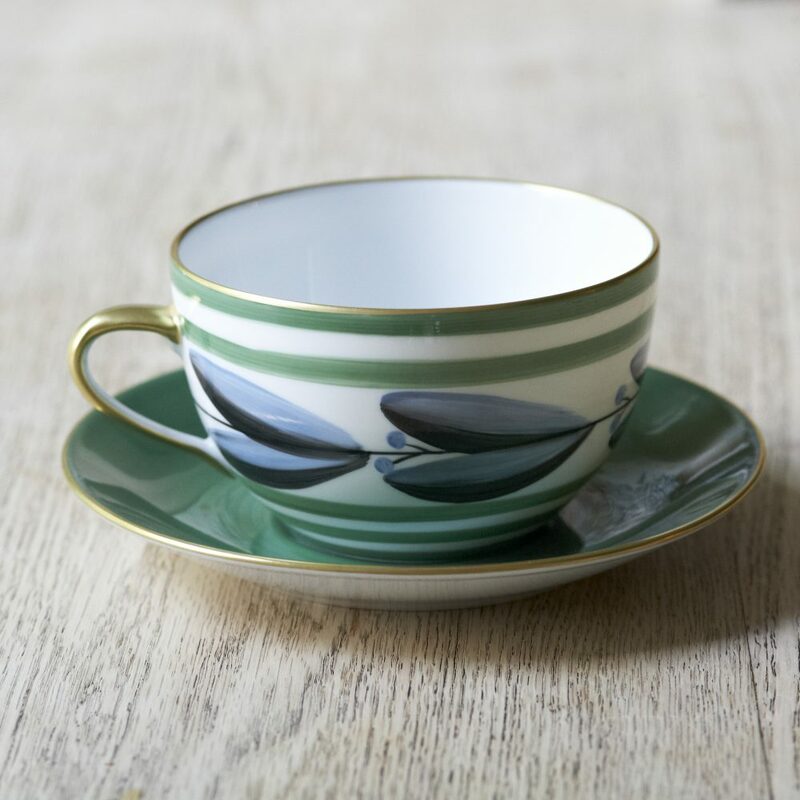 If we don’t have your chosen design in stock, your cups will be made to order in Paris and may take up to two months to arrive. We’ll be in touch to advise on timings. Price is for two breakfast cups. Colours: green stripes with lavender blue and black petals. Gilding in 24k gold. The price is for two breakfast cups. Each breakfast cup is 35 cl. If you would like your set to comprise of two different designs (rather than two of the same) please contact us directly to arrange.